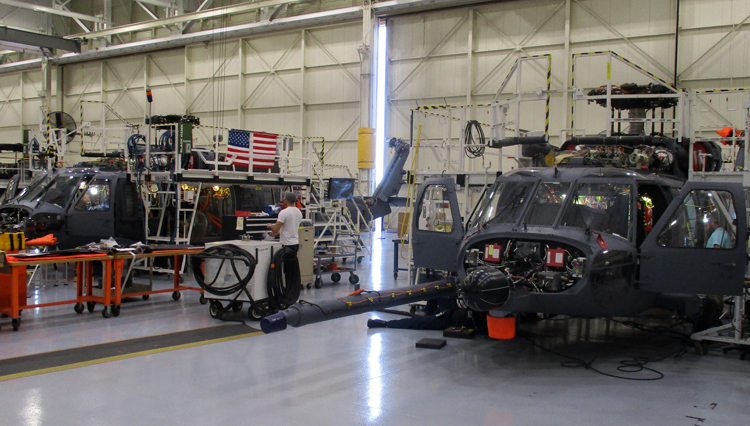 Two HH-60W Combat Rescue Helicopters are at the Sikorsky Development Flight Center in West Palm Beach, Florida, in preparation for flight test. Both aircraft, which are being built for the U.S. Air Force, were transported late last year to West Palm Beach following final assembly at Sikorsky's facility in Stratford, Connecticut. The aircraft test readiness review was completed in October 2018. The CRH HH-60W flight test team is currently preparing both aircraft for flight by conducting final installation of instrumentation and ground run testing. This marks formal entry into the flight test program that culminates in Ready Assets Available (RAA), allowing the Air Force to declare Initial Operational Capability (IOC). "Having these initial HH-60W helicopters in West Palm Beach for flight test is an exciting time for the Sikorsky team. It is the first step toward a low rate initial production decision later this year, which will allow Sikorsky to provide a constant production flow of aircraft to the warfighter," said Greg Hames, Sikorsky director, Combat Rescue Helicopter program. "This is the point in the program when Sikorsky begins providing new aircraft into the warfighters' hands, initiating transition to the vastly more capable and reliable HH-60W Combat Rescue Helicopter." The first of the two HH-60W aircraft will enter flight test with the new Tactical Mission Kit. 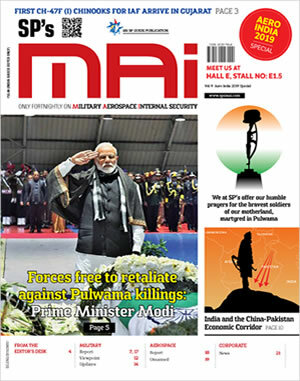 The integration of sensors, radar, and multiple defense systems will bring added intelligence into the cockpit, enhancing pilots' situational awareness to complete missions, which is key to improving aircraft and isolated personnel survivability. Sikorsky's HH-60W team completed the System Configuration Test Readiness Review milestones for the Tactical Mission Kit last year. The HH-60W hosts a new fuel system that nearly doubles the capacity of the internal tank on a UH-60M Black Hawk, giving the Air Force crew extended range and more capability to rescue those injured in the battle space. The CRH specification drives more capable defensive system, vulnerability reduction, weapons, cyber-security, environmental, and net-centric requirements than currently held by the HH-60G. "Our team is working every day to build and deliver a superior quality helicopter to the U.S. Air Force for this critical mission," added Hames. "Both Sikorsky and the Air Force remain committed to achieving a low rate initial production decision this year and getting this much-needed aircraft to our air men and women out in the field." A total of nine aircraft will be built in Connecticut during the Engineering Manufacturing Development (EMD) phase of the program — four EMD aircraft and five System Demonstration Test Articles. The Air Force program of record calls for 112 helicopters to replace its aging HH-60G Pave Hawk helicopters.